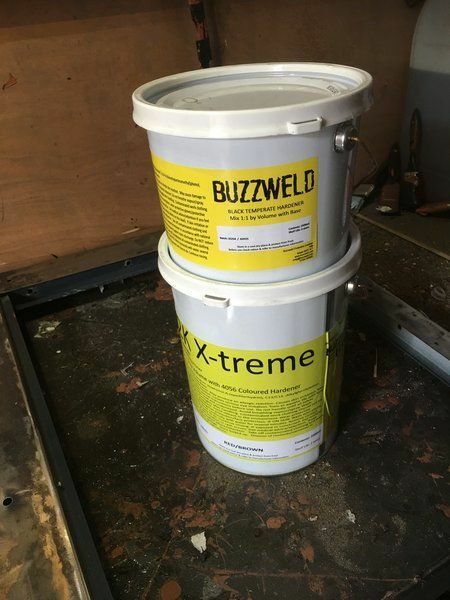 Single coat Extreme two pack epoxy. 77% as hard as steel! 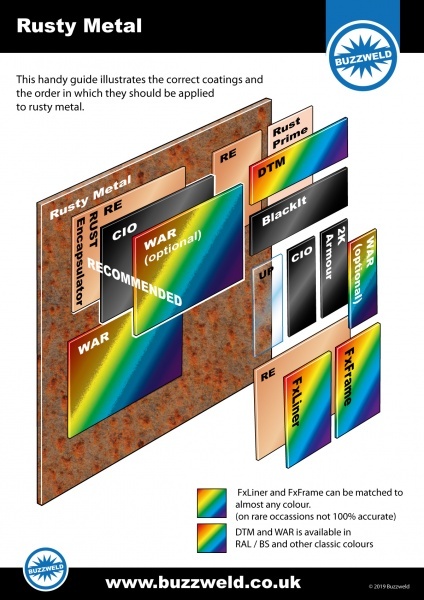 Contains a mined pigment that converts corrosion present to inert magnetite, thus preventing further corrosion. Contains self leafing glass flake that laminate within the coating to form an impermeable barrier to oxygen and moisture. Buzzweld 2K Armour provides a very high film build by brush. 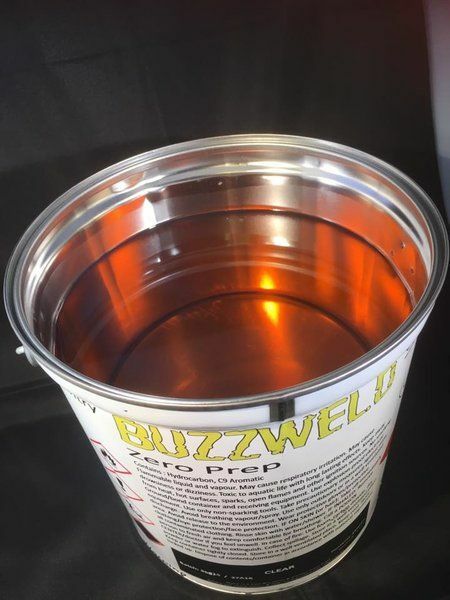 Buzzweld 2K Armour contains rust stabilising pigment for long term anti-corrosive protection and covnersion. It has a specially designed tar-free resin system that can be applied to damp steel surfaces to aid practicality under difficult various conditions. 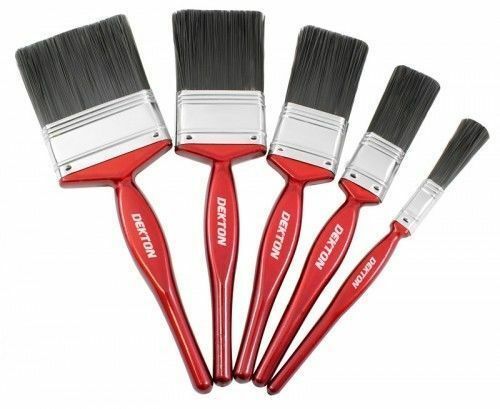 Keyed substrates (rough to touch, steel, not for smooth paint/ steel) or t-washed glav that has a rough profile. Does exactly what was needed. Thorough mixing and an even coat, then left to harden til the next day, this stuff is brilliant. Nothing compares. Nothing even comes close. It's expensive, but it's well worth the money. I shall be buying more once I've used current tins. Highly recommend to anyone wanting ultimate coating and protection. 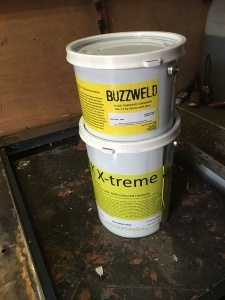 Buzz weld products are if not the best, second to none on the market. I have used most of there range on works as small as a landrover part, up to a house boat we just finished building. 2k is amazing, being in the painting industry for over 20 years I can honestly say I used nothing as good...! Rcp is amazing, coverage is fantastic and has fantastic adhesion and wetting out properties. Cio is just the don, chassis in a can is an understatement. You may think I'm linked to the company with these statements but I'm not, I just like to give credit where it's due. 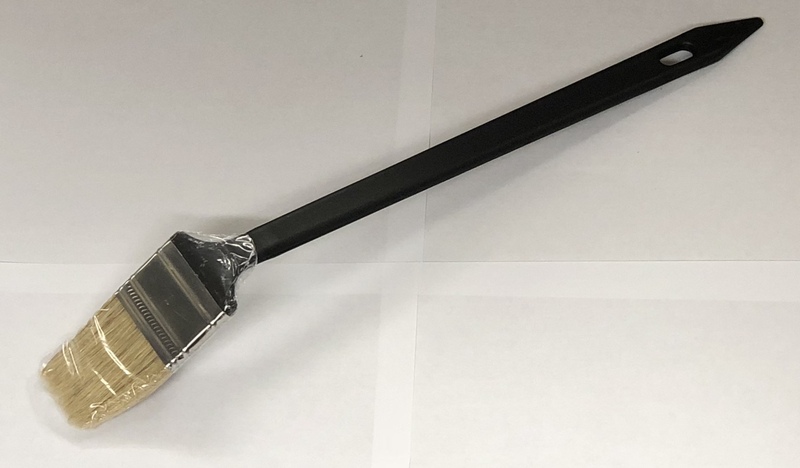 If you don't want to compromise on quality, look no further, speak with Craig Jones and the customer service and product knowledge matches the product itself, top notch. 5000ML for a chassis and axles up to 110 size.